The weekend may be over, but there’s still plenty of great music to catch this week. Kick things off by catching acclaimed neo-soul singer and guitarist Benjamin Booker tonight, Oct. 9 at The Basement East. Get a listen to tracks from his new sophomore LP and his critically-acclaimed self-titled debut. NYC alt-rockers She Keeps Bees will also be on hand to kick things off, so what are you waiting for? Grab your tickets here and read more about the lineup after the jump. 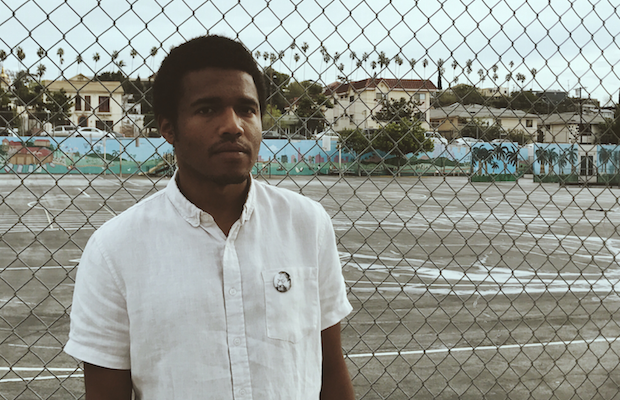 As a teen and young adult, Benjamin Booker dreamed of becoming a music journalist. After attending college in Florida, he decided to try his hand at playing music himself. After just a few months of performing and writing, he released his four-track EP Waiting Ones in 2012. His sound fused elements of classic blues artists, modern punk, and folk rhythms. That independent release earned Booker plenty of buzz online, and led to a record deal with ATO Records the following year. In December 2013, he recorded his self-titled debut here in Nashville at The Bomb Shelter. His debut single from his 2014 eponymous release, “Violent Shiver,” was praised by critics. Benjamin Booker landed on many of the year’s top album charts and landed him slots on the festival circuit, along with a spot opening for Jack White. After relentless touring for nearly three years, Booker got back into the studio and recorded his follow-up LP. The result is Witness, which dropped back in June and features an elevated sound that takes nods to gospel and soul greats of the past. The record poetically takes on some of the biggest issues in the U.S. right now, including racism and police brutality. His appearance at The Basement East is sure to be a powerful and moving performance that you won’t want to miss. Based in Brooklyn, She Keeps Bees supply biting and moody rock, powered by only vocals, guitar and drums. Members Jessica Larrabee and Andy LaPlant have been performing together since 2006 and have never been shy lyrically. Earlier this year, they dropped the politically-charged track “Our Bodies,” which takes on America’s current struggle to bring affordable healthcare to all citizens. Be sure to get to The Basement East early to get acquainted with this highly underrated duo and get a first listen to their brand new material. Benjamin Booker and She Keeps Bees will perform tonight, Oct. 9 at The Basement East. The show is 21+, begins at 9 p.m. (doors at 8 p.m.), and tickets are available to purchase for $20. Catch Caleb Groh, CAPPA, Poema, Manrelic, & Liz Bohannon | Tonight @ The Basement East! Foreign Fields Announce “Secret” Nashville Show On March 26th!